Wholesale Suppliers of Linen and Accessories. 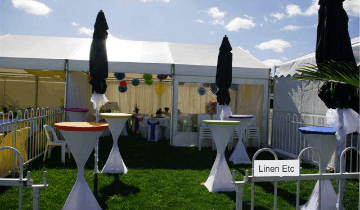 Dry bar cover sizes range from 50 - 90cm top diameter and are available in lycra or polyester. 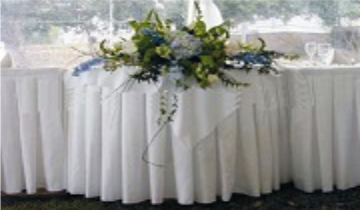 Table covers to suit round, rectangle and square tables and are available in lycra or polyester. 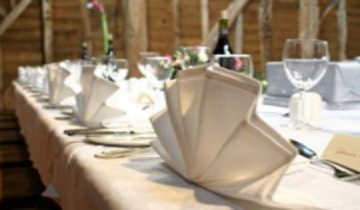 Table skirting is available in full box pleat, spaced box pleat or accordian pleat. 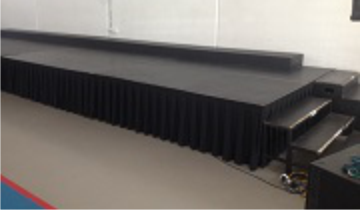 Stage skirting is available in full box pleat, spaced box pleat or accordian pleat. 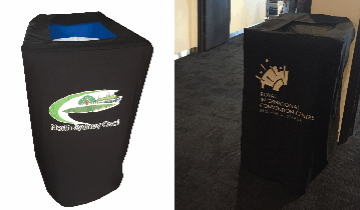 Wheelie bin covers are available in range of different sizes and colours. 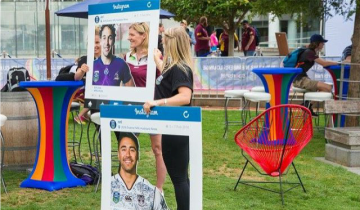 Need to control the crowds with portable fencing? 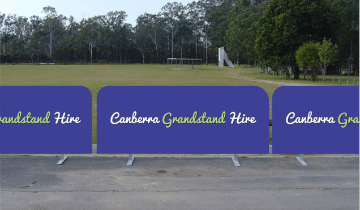 Promote your venue or event with fence covers. 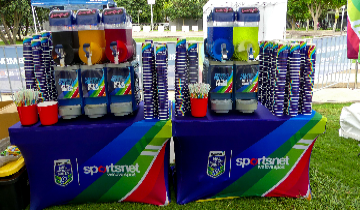 Jazz up your next event by adding a lycra dry bar topper. Chair hoods for stadium or banquet chairs. 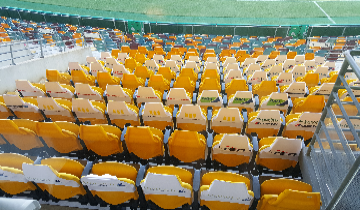 Do you need to reserve seats or display your corporate logos? The table clips have a Velcro (hook) attachment for easy fastening of the table skirts. 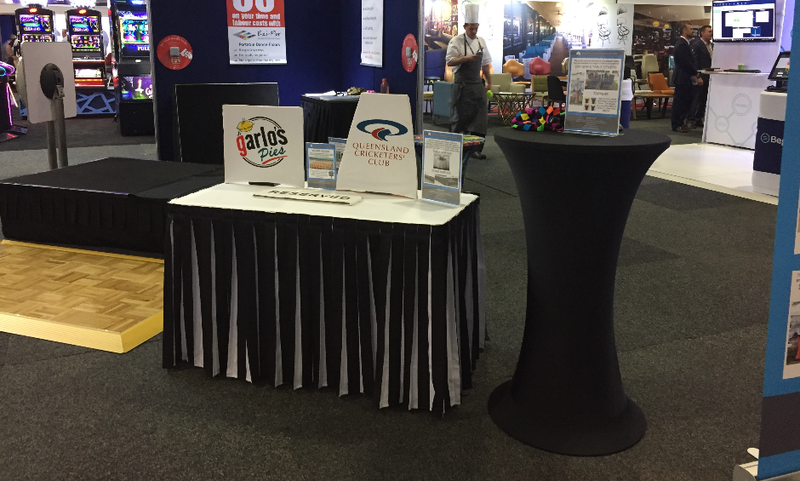 The tablecloths and napkins are manufactured from 100% spun polyester fabric. 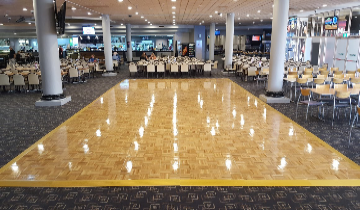 Dance floors for indoors and outdoors. Save 60% on your time & labour costs. 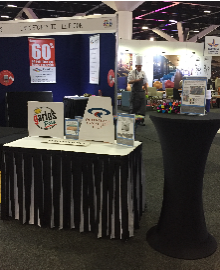 Easy Stage and Fold & Roll Stages in various sizes. No heavy lifting - easy to use. 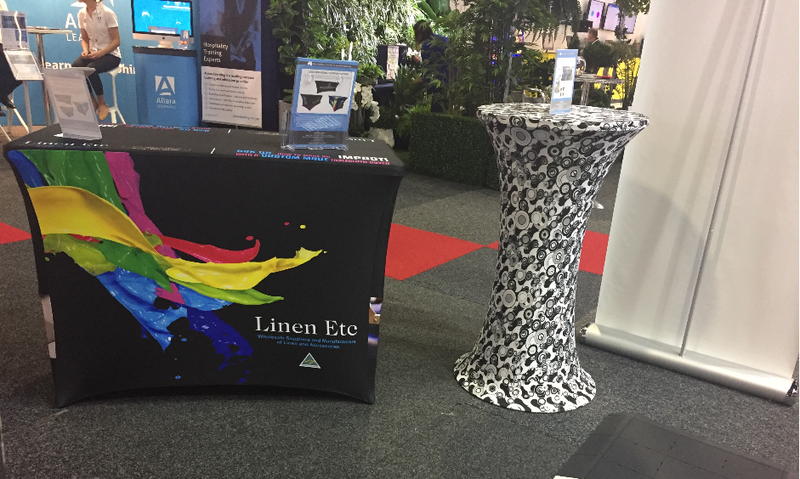 LINEN ETC is a wholesale manufacturer suppling commerical linen, custom designed covers and accessories to businesses within Australia. 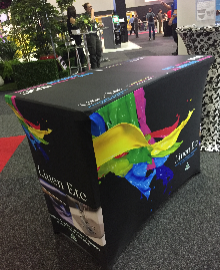 LINEN ETC are committed to ensuring our clients are completely satisfied with the quality of the products and services they receive. We continually strive for customer satisfaction in the products we deliver and the services we provide. LINEN ETC is focused on keeping manufacturing in Australia. We have the ability to rapidly respond to urgent requests and immediate needs. 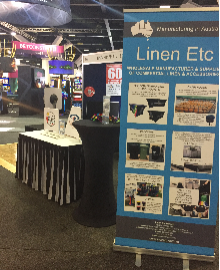 LINEN ETC believes our success is firmly tied to the success of our customers. PO Box 1002, Springwood QLD 4127, Australia. Copyright ©2018 Linen Etc Pty Ltd. All Rights Reserved.